Municipal solid waste (MSW) is defined by the OECD as waste collected by municipalities or on their order. It includes waste originating from households, commercial activities, office buildings, institutions such as schools and government buildings, and small businesses that dispose of waste at the same facilities used for waste collected by municipalities. North Americans have one of the highest per capita generation rates in the world. contaminate groundwater, soil and air. In addition, landfills use large tracts of land, which in densely populated areas are becoming a rare commodity. Incinerators, which require less land, inevitably cause the depreciation of the surrounding land value due to lowered air quality. The proven RCR STAG steam-based autoclave system will be used to sanitize and size reduce MSW as it arises daily and is delivered to the plants located adjacent to the principal landfills. Each of the four plants, located at each of the four Category A landfill sites, will be sized accordingly to have sufficient capacity to be able to process up to double the daily fresh arisings of MSW. The source of feedstock for this capacity would be material that has been abstracted from the existing landfills. It is proposed that each of the landfill sites will be equipped with a modern work cabin / site office and a number of front loader trucks, back hoes and motorised trommels that will be used to excavate all MSW that has been deposited at each of the landfills or dumpsites. The procedure is simple. 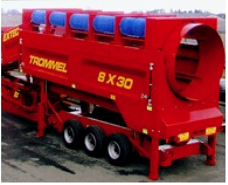 The front loader or excavator will lift a quantity of dumped material into the entry chute of the motorized trommel that is in effect a rotary screen. This screen will segregate materials into different sizes and types and substantially separate the Construction and Demolition (C&D) Wastes from the other wastes. This separated C&D material will be passed through onsite motorized crushing plant that will reduce the material to an aggregate. This can either be deposited as a clean aggregate back into the landfill site or placed to one side for later removal to a central disposal point. The organic and other wastes within the dumped MSW will be placed in a truck and delivered to the RCR STAG plant where it will be processed through the steam autoclaves to produce sanitized and size reduced materials. All recyclable material will be segregated automatically by robotic equipment that achieve close to 100% accuracy for plastic types segregation and that of metals and clean inert materials. All plastics will be either recycled or converted to diesel fuel; all organic materi al to cellulosic fibre for energy production through clean carbon-neutral combustion or ethanol production by commingling with agricultural wastes and other organic materials and sewage sludge to produce premium grade ethanol. Textiles will be divided into synthetic and natural fibre and disposed of through the various processes that are further described below. 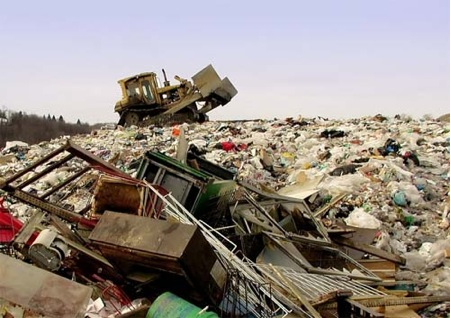 RCR, using its proven STAG steam system can remediate all landfills and will remove all structures, fences and will over time remove all evidence of landfill or dumping from each of the sites. In addition since the RCR Recursive Recycling MSW treatment processes achieves 98% diversion from landfill of all MSW, we are confident that if the four RCR STAG plants are located at each of the four Category A sites then all MSW arising will be dealt with on a daily basis and the plants will be of sufficient capacity to process material extracted from the landfills and thus, over time the w hole of the landfill or landforms will be removed. 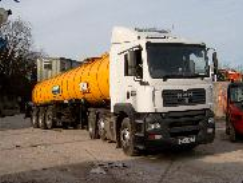 The proviso to complete removal is to find the market for the C&D waste derived products. It may in practical marketing sense be such that there is not sufficient capacity in the market to absorb this volume of material, therefore it may be necessary that clean, sanitised and size reduced C&D waste maybe used to fill hollows and other naturally occurring features so that through judicious landforming this material can be disposed of and the Emirates can be assured that such inert material will not either produce leachate or landfill gas. Working with the local Waste Management Board to agree on the precise location, a number of waste transfer stations will be erected to act as a focal point for outlying areas where small quantities of waste will be delivered. 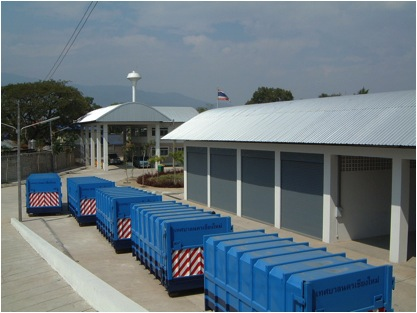 In addition, RCR would propose to deliver to waste generators and small communities a number of static compactor units. 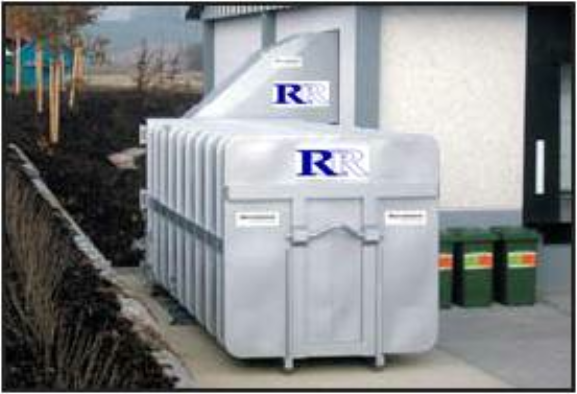 These are steel containers that are enclosed and have a lift-up access point for the dumping or non-source segregated wastes. The unit is fitted with a diesel engine that will operate on demand to drive a compactor within the unit to increase capacity. The payload ranges from between 7 and 10 tonnes of MSW and its placement has a number of advantages. Initially it will protect the MSW from insects, it will remove odour since a deodourising unit is fitted within the container to spray and therefore suppress odour; it will protect the MSW from rain; it will remove the issue of windblown litter; it will protect the MSW from scavenging or from vermin or grazing from animals. These units are easily uplifted and replaced with empty units. They are fitted with a remote communication device that senses the level of use of the unit and when it is nearing capacity. That signal is received at the waste transfer station or at the RCR STAG plant and a vehicle is despatched with one or two compactor units (they fit easily onto flatbed trailers an trucks) and therefore MSW can be freely deposited in these units and by using these compactors it has the effect of reducing vehicular movements and also reduces the number of compactor collection trucks from being used. 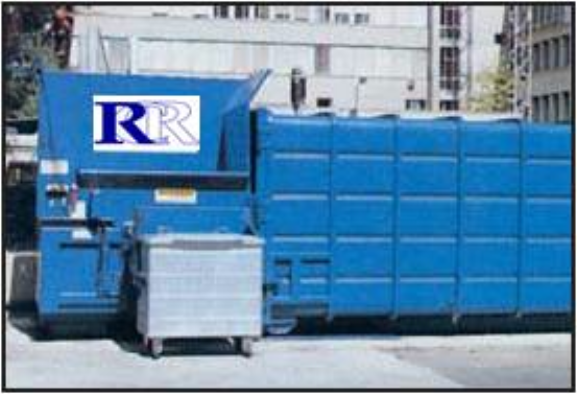 RCR will provide the uplift vehicles (similar to building waste skip trucks) that will maintain a collection system for all communities. In addition to the location of the compactor units, RCR will employ a compactor manager who is responsible for managing the unit and a small team of street sweepers and waste collectors. These operatives will be dressed in company livery and clearly identified and will be charged to collect waste in their designated area or community. 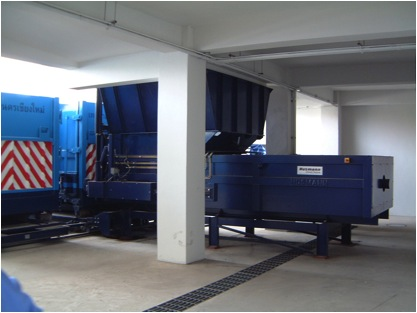 This will ensure that all MSW, agricultural waste and tyres or whatever will be collected and deposited in the static compactor unit.